Text Psychics Text Readers your FATE just a text away? Destiny or FATE is a pre-determined course of events. Do you need to find out yours from amazing online UK psychic text readers? 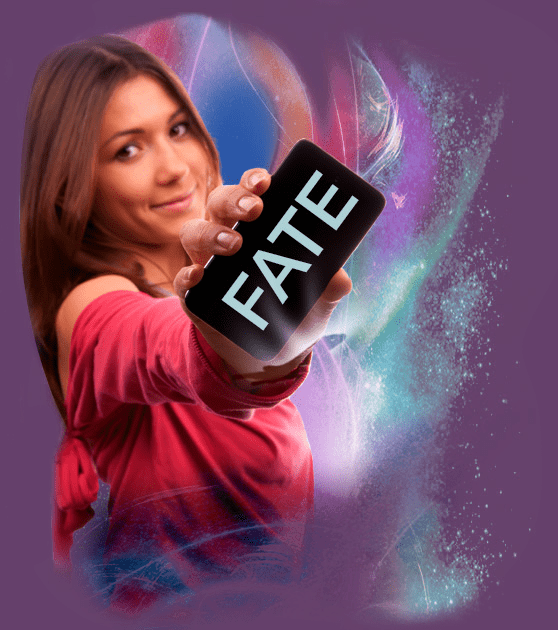 Do you need the help of UK Psychic text readers to find out your FATE? For amazing answers regarding love, romance, family, career or most other questions all you have to do is text FATE to 88889. 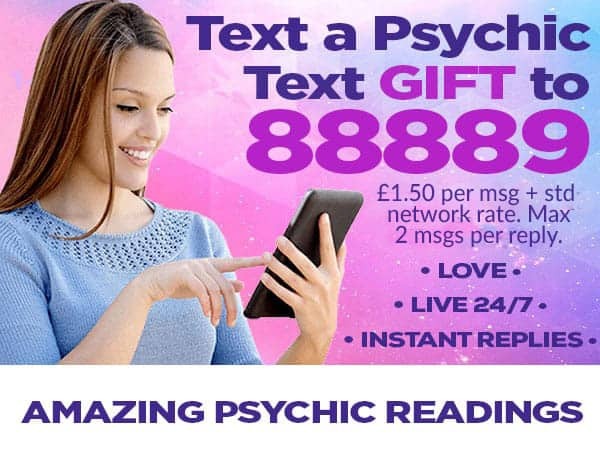 At only £1.50 per text reply, it’s a convenient and cost effective way for an online Psychic Text Reading in the UK. IS THERE SOMETHING ON YOUR MIND TODAY THAT NEEDS ANSWERS? If YES then we have the UK’s premier online Approved Psychics, Mediums and Clairvoyants who are gifted live psychic text readers. They are available to answer psychics questions for you 24 hours a day and they have a gift that will help you gain clarity and understanding about the issues most important to you. We are intuitive, understanding and sympathetic and here to help and guide you with your questions regarding Love, Relationship, Career and most other questions. DO YOU NEED SOMEONE SYMPATHETIC TO TALK TO CONFIDENTIALLY & PRIVATELY, 24 HOURS A DAY? Why not text a UK online psychic from your mobile phone and we’ll get back to you as soon as we have the answers for you. Just text the word FATE a space then your important question to 88889. We are online & available 24 hours a day, 365 days a year to answer your burning questions using our abilities via Psychic Text / SMS at a cost of only £1.50 per text. Please do double check your message before you send it and make sure that it starts with the word FATE then a space. Also make sure you send the message to 88889. 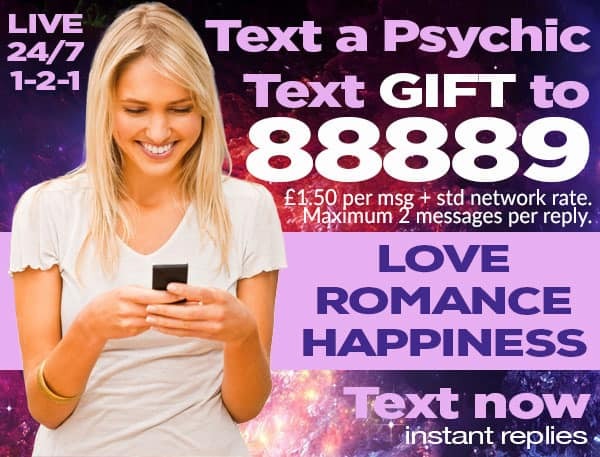 WHY USE THE UK APPROVED PSYCHICS ONLINE TEXT A PSYCHIC SERVICE?